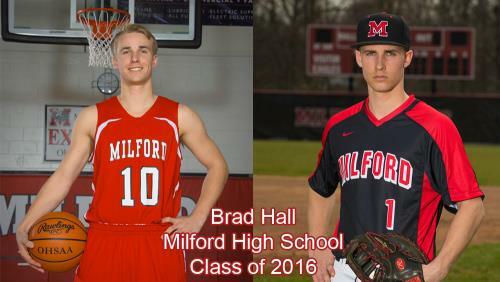 Brad Hall was recently named Milford’s Most Outstanding Male Senior Athlete for the Class of 2016. Here is a look at Brad’s accomplishments, along with the thoughts of his varsity head coaches on the impact he had during his career. 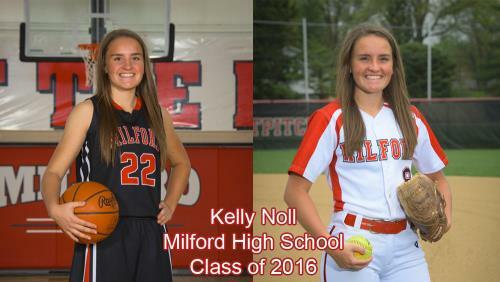 Kelly Noll was recently named Milford’s Most Outstanding Female Senior Athlete for the Class of 2016. The award is voted on yearly by each of the MHS head varsity coaches. Here is a look at Kelly’s accomplishments, along with the thoughts of her varsity head coaches on the impact she had during her career. Two members of the regional runner-up Milford High School baseball team, Brad Hall and Kyle Ruehlman have been selected to play in the Southwest Ohio Coaches Association East-West All-Star Game. The game is scheduled to be played on Friday, June 3 at Midland Field in Amelia. Game time is slated for 7 p.m.